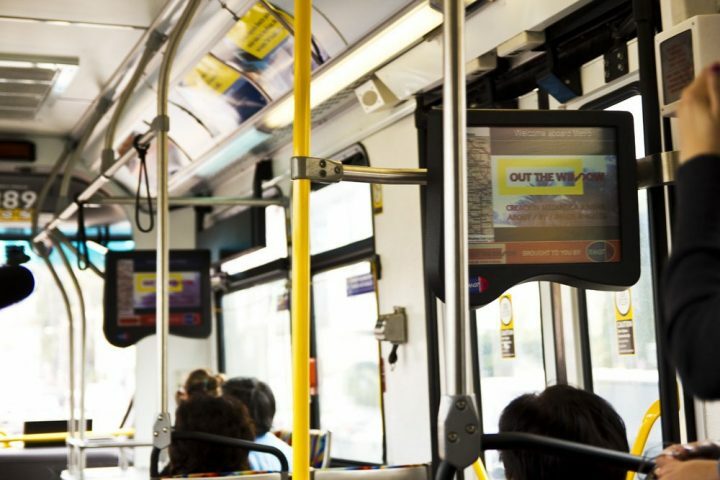 Across the L.A. Metro bus Transit TV system, Out the Window showed 125 artists’ videos about/by/in Los Angeles. With a different video featured each day over 3 months, the project linked physical and virtual worlds that coaxed viewers to reconsider what exists out their window. 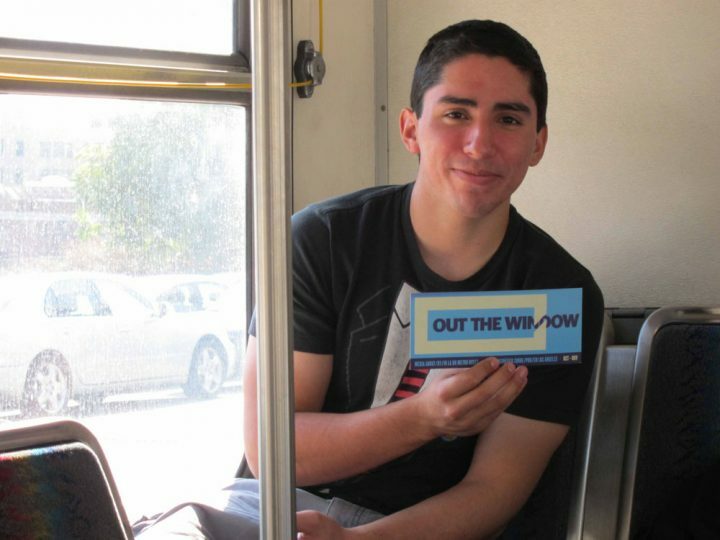 Out the Window created a communication network among the many social, cultural, economic and creative constituencies of Los Angeles. 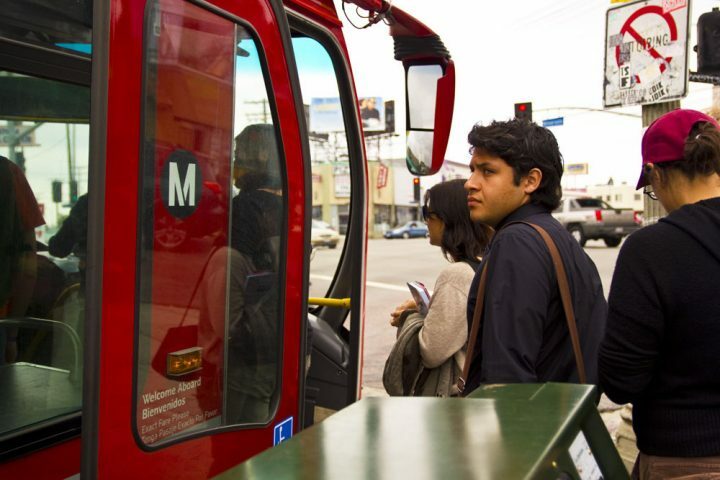 The 50 artists’ and 75 students’ videos reflected a range of subjects and styles, including performances in urban public spaces, background information about LA neighborhoods, animated scenarios, ruminations about urban nature and investigations of LA visual culture to 1,000,000 people a day. 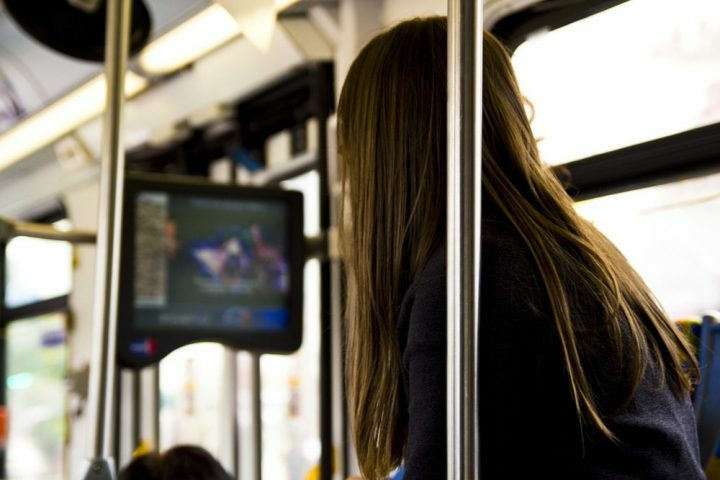 The project was conceived with Transit TV’s interactivity in mind. 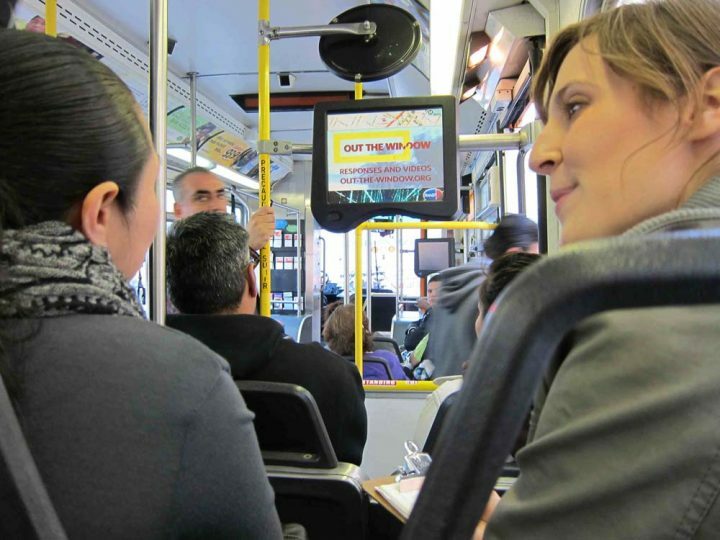 After each video, the screen showed a question in English and Spanish about the video with a phone number that riders could text to with their answers. 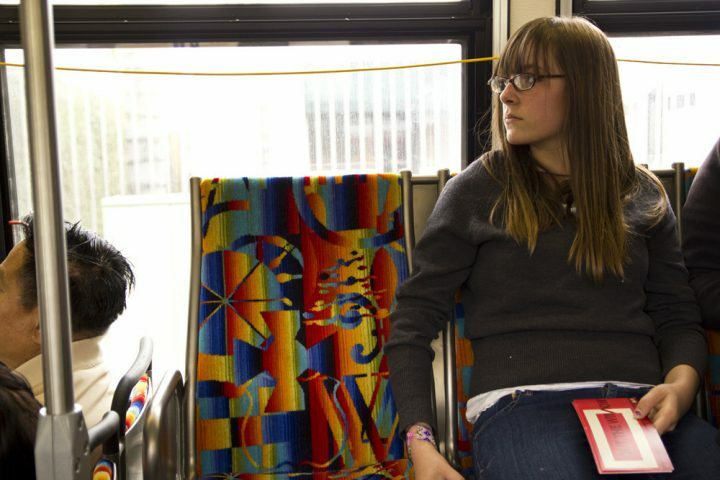 The open-ended but pointed questions directed viewers toward a conceptual entree into each video, and helped us understand the breadth of riders’ reactions. Selected responses are posted at out-the-window.org/responses.